Aaron Neuwirth reviews Everybody Knows, the Spain-set feature from director Asghar Farhadi, starring Penelope Cruz and Javier Bardem. Following the AFI Fest screening of Everybody Knows, I looked at some other brief reactions regarding writer/director Asghar Farhadi’s latest effort. Having opened the 2018 Cannes Film Festival, expectations were undoubtedly high for the two-time Oscar winner to deliver another strong feature. As of now, it appears everybody seems to know Everybody Knows is not some next-level masterpiece that is an impossible ask for anyone, let alone a filmmaker who has already delivered as much. That in mind, I would propose that even a comparatively “lesser” Farhadi film is still an incredibly involving drama, rich with characters and an intriguing turns of events. Part of the joy I have gotten from Farhadi’s films is going into them with no context for what I’m about to watch, and I’d like to extend that same courtesy. To speak of the plot in the most minimalist of ways, Penelope Cruz stars as Laura, a Spanish woman living in Buenos Aires, who has returned with her family to her hometown outside of Madrid for a wedding. Along with the rest of her family, Laura also has a chance to reconnect with her former lover, Paco (Javier Bardem). Soon enough, an unexpected event leads to much turmoil for all involved, including the discovery of certain secrets. As stated many times before, Farhadi has a real gift for making material fit for a soap opera into a compelling look at how lives are affected by the turns of his plots. Adding a mystery or thriller element on top of his tales provides a sense of focus, but the work to test the bonds between family and close friends are what leaves the most significant impact. It is due to this that Everybody Knows, once again, finds an endpoint that left me both very satisfied, as well as wishing I could keep moving forward with the lives of these people. When it comes to the main event that draws out so much emotion, I can say Farhadi does seem to push towards familiar territory. 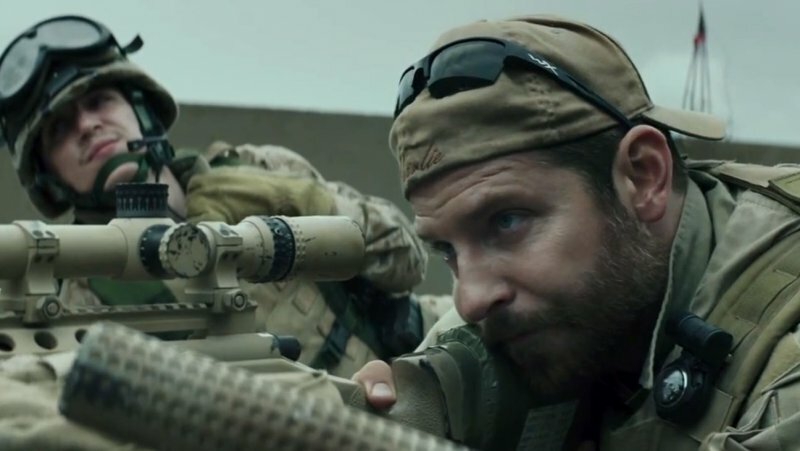 That’s not a significant drawback regarding what the director is capable of accomplishing, but given the high standards set by his previous films, there is a sense that working with this particular storyline is not the most ambitious test of his abilities. That in mind, I’m not convinced it signifies a lack of creativity when it comes to examining how relationships evolve and even fall apart in the midst of new revelations amidst a crisis. A lot of what works is Farhadi’s abilities as an actor’s director and the performers he has surrounded himself with. Cruz and Bardem are both excellent here, delivering naturalistic performances that fit well with the rest of the cast around them. There’s a way to play up the theatrical elements that factor into the lives of these characters, but thanks to the real-life married couple’s chemistry, their talents as performers, regardless of their celebrity standing, and the low-key nature of the filmmaking, the strong work is right there onscreen. Not to be left out is the solid supporting cast, which includes The Secret in Their Eye’s Ricardo Darin as Alejandro, Laura’s husband. 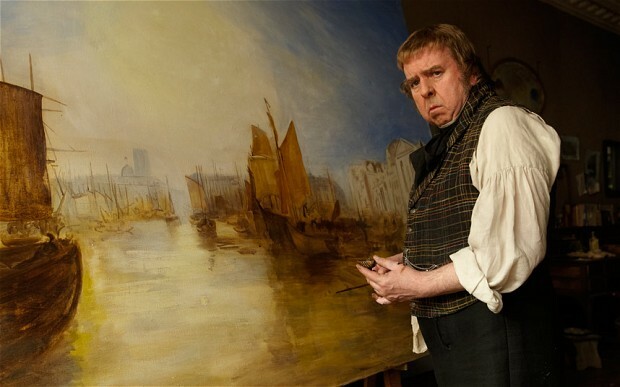 The entire film relies on both dialogue exchanges as well as dramatic looks that best embody states of emotion, and Darin, among others, has many chances to shine in this area. As the drama increases over time and characters get more desperate, watching this cast perform in a way that indicates a strong sense of history keeps the film away from feeling like a flimsy melodrama. 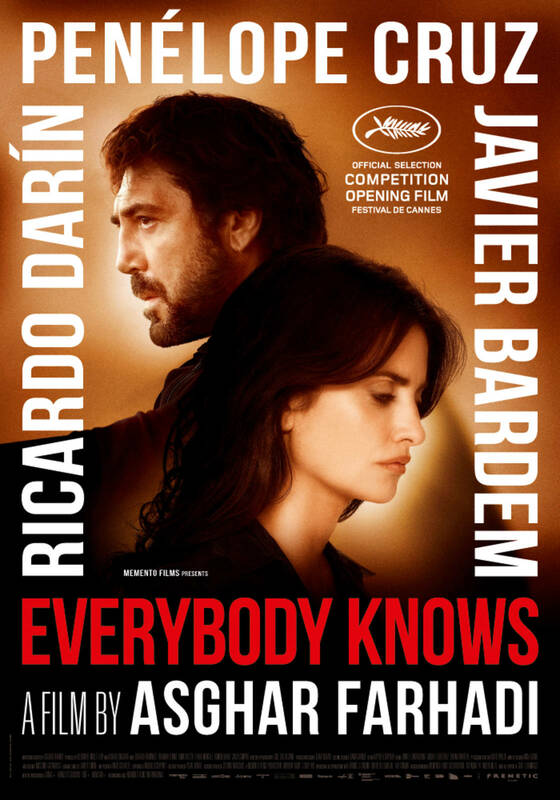 Everybody Knows is notably Farhadi’s second feature to venture outside of Iran (the first being 2013’s The Past) and the director uses this to his advantage. With cinematographer Jose Luis Alcaine working on the film (best known for his frequent collaborations with Pedro Almodóvar), Farhadi has the chance to capture the lives of his characters via urban locations such as houses, shops, and an old church, in addition to wonderful looks at the Spanish countryside. Combining the look of a setting drenched in sunlight with characters who go from sporting their best outfits to being overcome with distraught emotions, there’s a lot to take in from the visual choices to help support this film. Additionally, while more intensely focused on the relationships compared to intrigue informed by societal and religious beliefs as found in his Iranian dramas, Farhadi still finds ways to comment on who these people are. There’s a sense of seeing the disparity between classes thanks to Paco’s business and history. It is also understood that the town is often quiet regarding exciting events, so gossip takes its toll in interesting ways, which harkens back to the film’s title. Everybody does seem to know a lot about what goes on within various families, which turns out to be a good way to strengthen the mystery at play. At over two hours, there is a lot of work done to build this mystery drama into an intense state of affairs. Fortunately, the cast and filmmakers involved provide plenty of great understanding of the material, best suiting what is needed to make Everybody Knows as affecting as it is. Even when considering the lack of too many outcomes overall, there’s still a sense that the viewer has traveled quite a way and has gotten to experience a lot with people they just met. It’s a good thing the effort done to explore who the main players are is treated with so much importance. 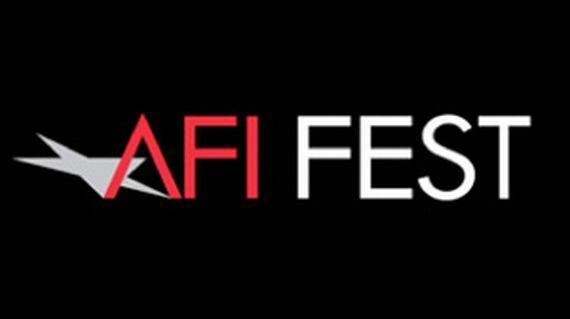 AFI Fest Review: ‘Split’ will divide audiences.